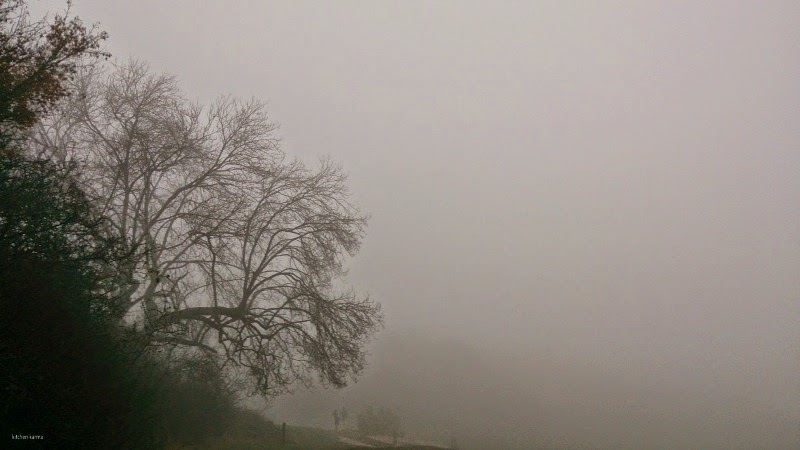 When we set out for a pub lunch today afternoon, we had no clue that Box Hill in Surrey is going to be all misty. It is almost as if someone had lovingly wrapped a fine grey cashmere shawl around the hill and her surroundings woods. How I regreted not carrying my camera. But I did not want to miss this mist, so clicked away with my phone camera hoping that the photos will come out nice. The morning dawned dull and rainy & after spending a lazy morning at home, husband and me decided to step out for a pub lunch. Some weekends we randomly select a pub within an hour's driving distance for lunch. The idea is to enjoy the drive and the lunch and to discover a nice pub in the process. You could say we are on a mission to explore the pubs, especially the gastro pubs of Surrey. 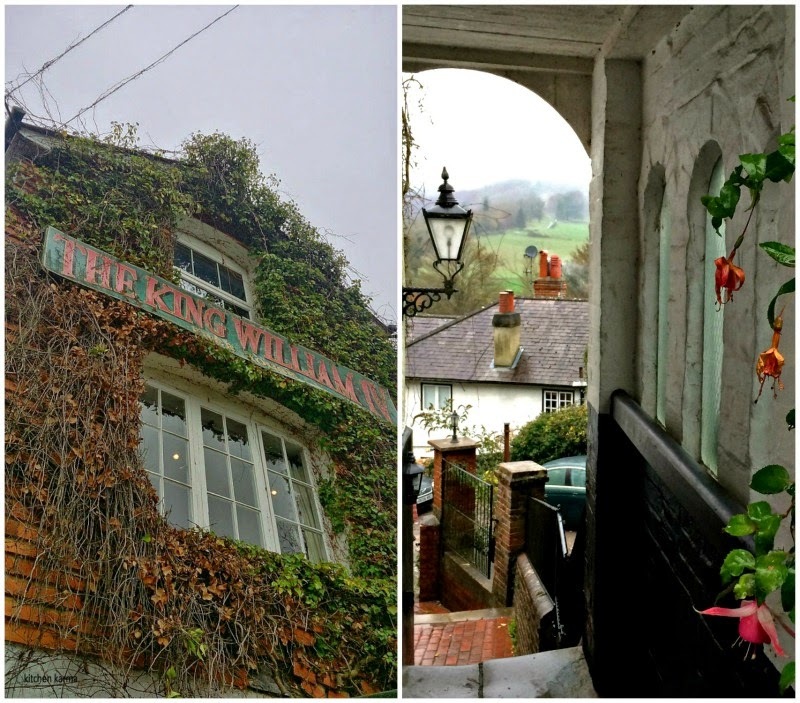 Today our destination was King William IV pub in Mickleham. From our home in Sutton the drive showed to be half an hour. Little did we know that it would cut through our favourite summer picnic spot-- Box Hill. Of course while crossing the hill, we had to get down for a walk. I have seen Box Hill in summer sunshine, in full autumnal glory and also in rain, but today was a different experience altogether. A mist had descended over the area and it felt like someone had forgotten to lift the dust sheets from nature that morning. 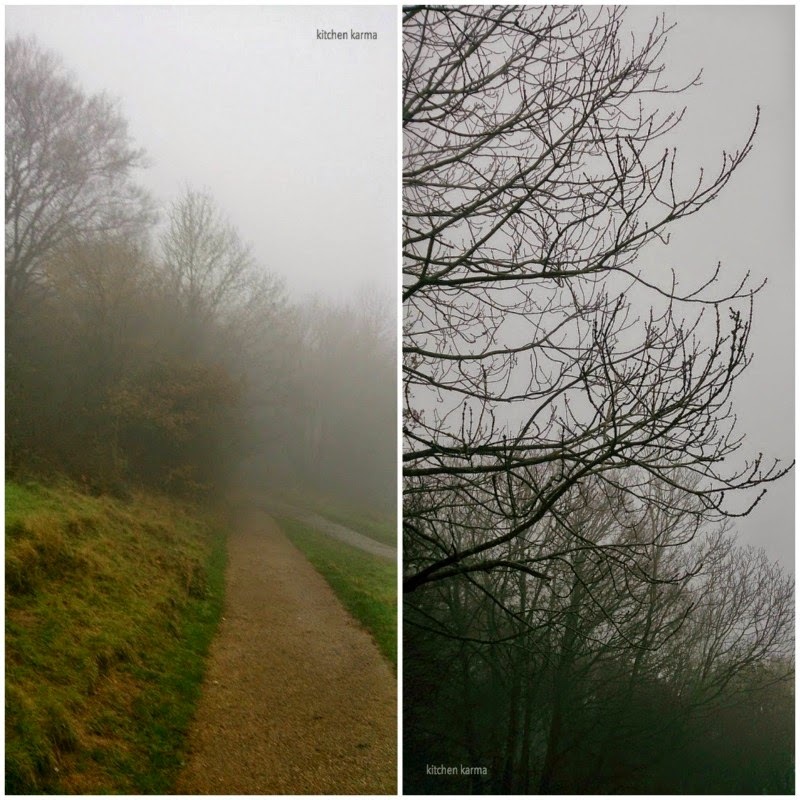 The swirling mist made everything grey. 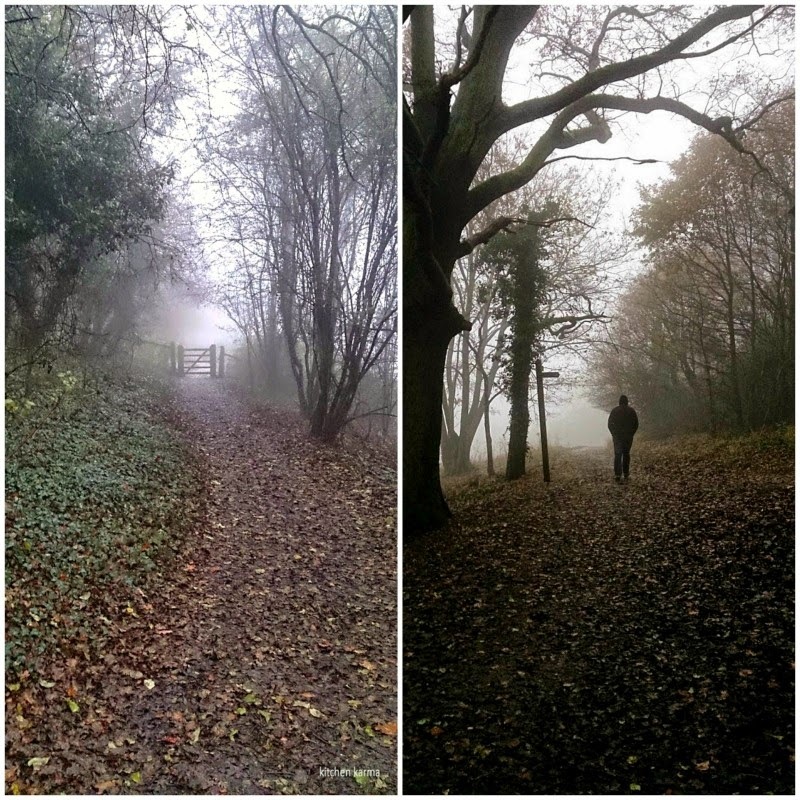 It's the kind of November day which gives rise to all the spooky stories. Today this very English spot reminded me of the hills back home, especially Kalimpong which is a tiny hill station tucked away in the foothills of Himalayas. I had visited the place many years ago in my early teens with my parents and brother. We were there in the month of October and some days the mist descended on the hills and made visibility difficult. 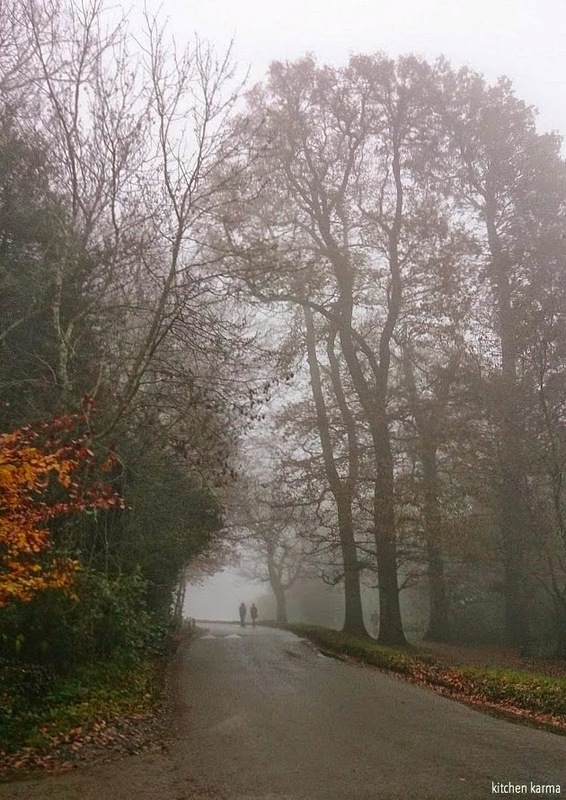 The walk through this hill in Surrey took me back to those days and that mist kissed quaint Himalayan hill town. Funny how our memories are triggered. After all that walk we were hungry. Now if we didn't know where exactly The King William IV is, we would have never discovered this place. The pub is neatly tucked away up on Byttom Hill and only the very curious and the locals can find it. The pub has a beautiful terrace with spectacular views of the Mole Valley, but truth to be told, sitting cosy by a crackling log fire, we did not venture out. Come spring. It's a snug little place and we were greeted effusively by Tony. We sat by the fire and my husband ordered the local bitter, which he said was excellent, while I had a cup of tea to warm me up after our chilly walk. We had a bit of a debate as my husband wanted to order beef nachos and I generally avoid eating beef. We decided to compromise and order vegetarian nachos. The nachos arrived quickly enough, but they were beef. Husband happily attacked the plate, but Tony was rather embarrassed. He apologised a couple of times, wanted to serve me a plate of vegetarian nachos, when I refused his kind offer, he sent me another cup of tea. So much attention to customers is pretty rare and I rather enjoyed it. The beef nachos were actually great, very tasty and my husband was rather happy about the confusion in service! 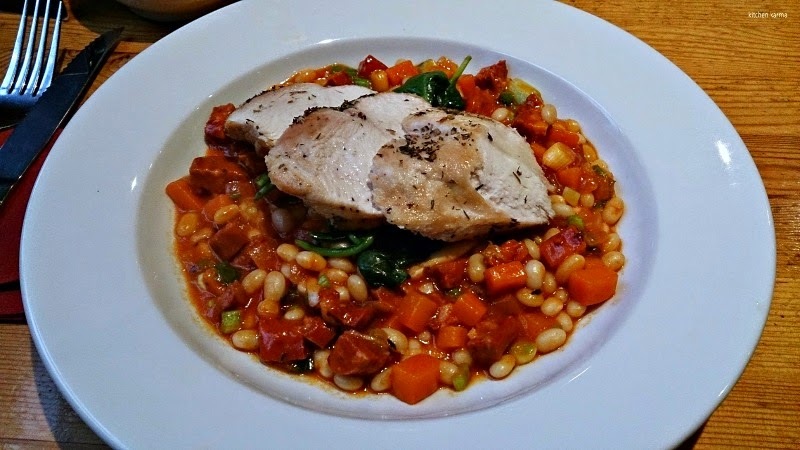 This is what my husband had for mains, grilled chicken with lentil, greens and chorizo. He was very satisfied with his meal. I ordered this Halloumi burger primarily because they do not serve my pub staple-- banger & mash. I am generally rather picky about burgers, being unable to eat beef, I have eaten my way through a series of unappetising chicken burgers. Mostly I am disappointed with the burgers I get to eat in most joints. To my surprise this burger was very tasty. The cheese was perfectly grilled, not too stringy and the buns were soft and fresh. They had kept it simple and served the grilled halloumi with some slivers of red onion and a dab of mint chutney. I loved the combination. The chips were chunky and crispy. There was a little coleslaw and side salad. My meal was pretty filling and I could not finish all the chips. All the ingredients were fresh and that came out in the taste. We were so full that we had to skip pudding. 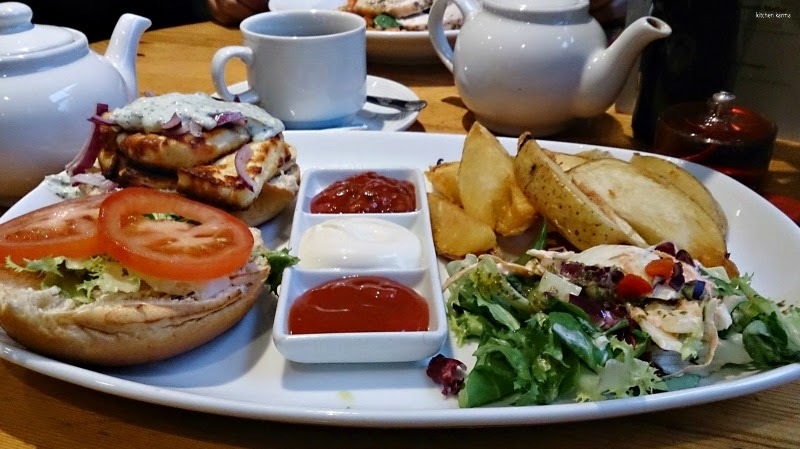 The standard of food in this pub is really great, so is the service and the ambience and we would definitely be back in King Billy for more. Looking forward to al fresco dinning in their terrace in the summer! Hi Jasna I accidentally deleted your comment. Copying pasting it. Sorry for that clumsiness! 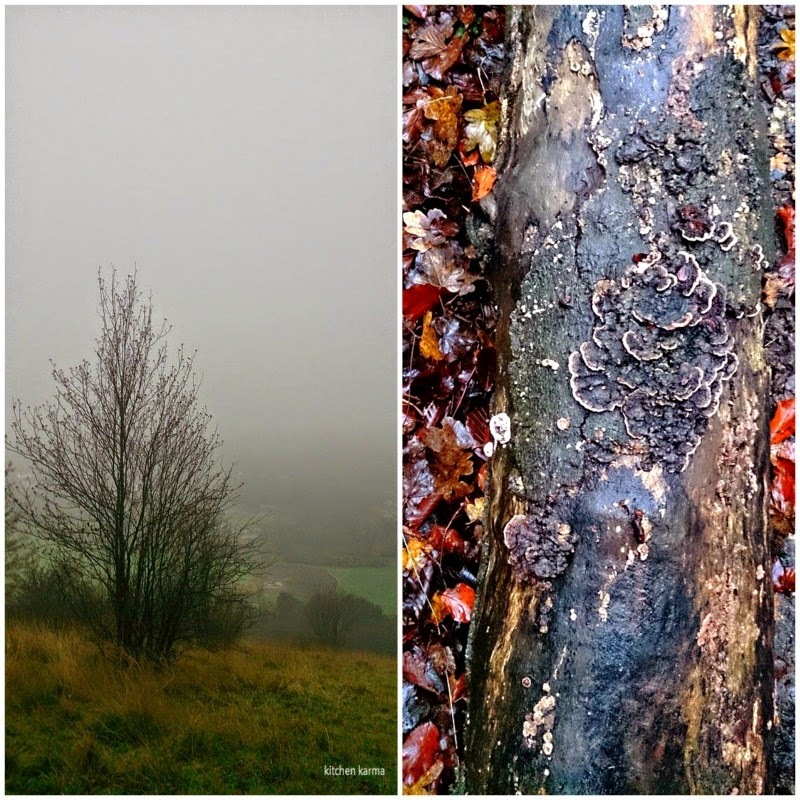 "November in my town (today) 43*C...Nice poem about winter (on northern hemisphere)"